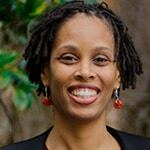 Dr. Ruby Thomas is an Assistant Professor of Community Health & Preventive Medicine at Morehouse School of Medicine. She has been trained in pediatrics, preventive medicine, and integrative medicine. She received her medical degree and completed her medical training at Morehouse School of Medicine in Atlanta, GA. She is passionate about empowering families to transform their lives and heal from chronic illness through plant-based nutrition. She provides health coaching, education, and consulting services for individuals, families, and communities. Her research interests include nutrition, childhood obesity and urban gardening. While her clinical interests include, childhood obesity, integrative medicine, lifestyle medicine, motivational interviewing and health coaching.